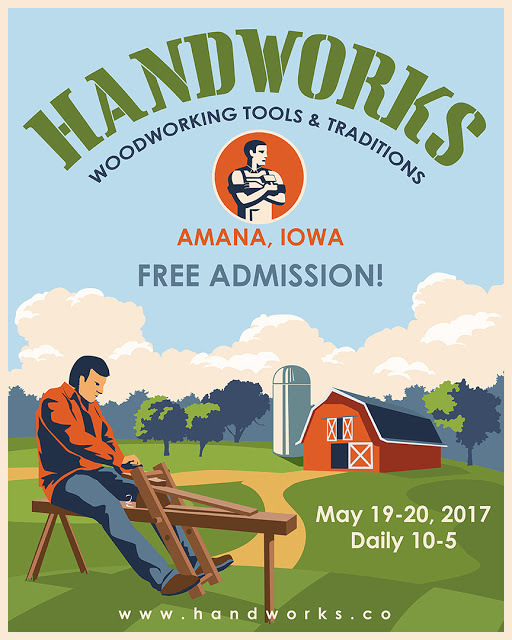 Norsk Skottbenk Union will have a stand at Handworks in Amana. This week 6 members of Norsk Skottbenk Union are going to Iowa and Minesota in USA to meet up with American handtool enthusiasts. We are also going to do some research for old workbenches similar to our Scandinavian Skottbenk. We are familiar with an interesting workbench in Amana in Iowa. We are going to make a visit to see this bench for ourselves and also have our own stand at Handworks 2017 to show how the Skottbenk works. At Handworks we will meet workbench enthusiasts from around the world. The maker of the official apron for Norsk Skottbenk Union, Jason Thigpen at Texas Heritage will also be there. 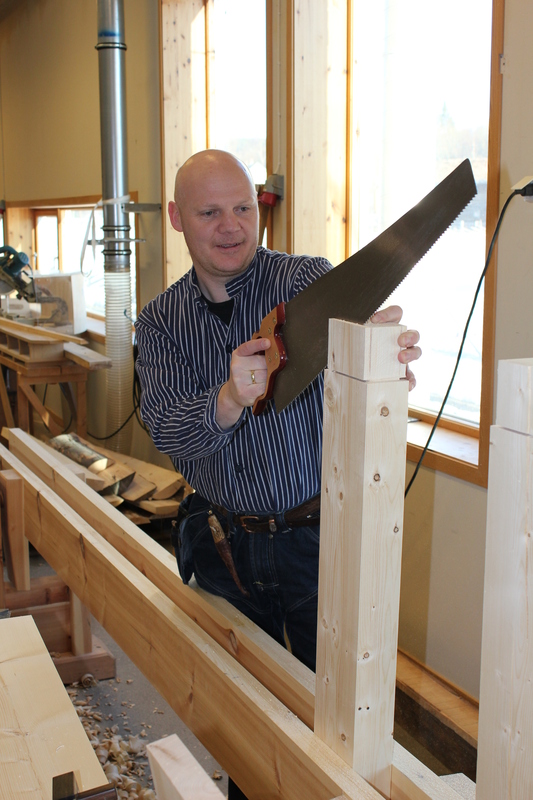 Norsk Skottbenk Union are a group of craftsmen with a special interest in traditional workbenches and tools. We are focused on the use of the workbenches and tools and strive to get other craftsmen interested in theese matters. We belive the Norwegian woodworking tradition are important to keep alive. By making traditional workbenches, making new tool in a local tradition and use them in restauration work and other kind of woodworking we belive we can make a difference. Our tools and workbenches are based on extensive research of old tools, workbenches and historical records. We have also done some work with older master craftsmen to get to some of the intangible knowledge in their craft. Some of the results of this work are posted on this blog. We write in Norwegian for our Norwegian readers because we believe it is important that we use the language that is connected to the traditions in our craft. For you English language readers we have a category for English blog posts. Thor-Aage K. Heiberg. Joiner and Organbuilder. Trained in joinery both plugged and unplugged. Early member of Norsk Skottbenk Union. Enjoys the smell, sound and keen hand of traditional pre-industrial joinery and building conservation. Interested in toolmaking, and traditional woodworking handtools. Studied Technical building conservation and restoration work at NTNU and finished my bachelor degree in 2016, subject: The Sash window plane and Miter iron. Rediscovering a traditional 19th century sash window manufacturing process in Melhus and Meldal. 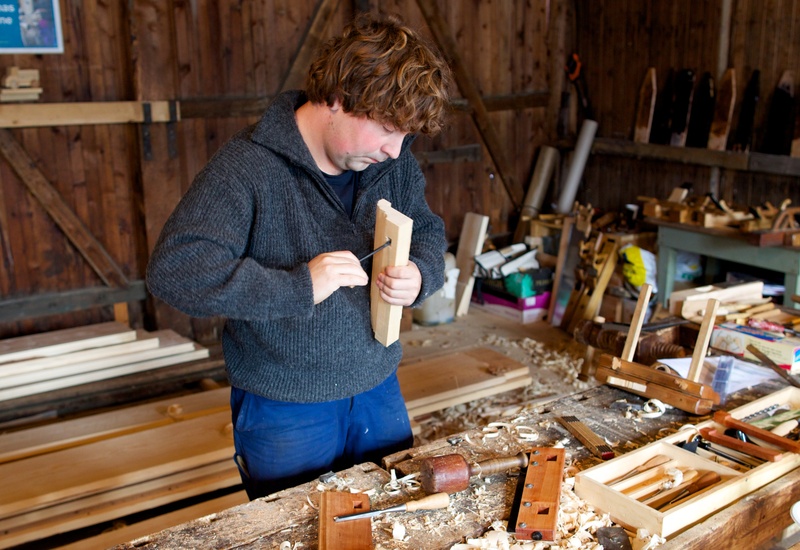 Work as a woodworker and head of building conservations at Sverresborg Open-Air museum in Trondheim. Ivar Jørstad. 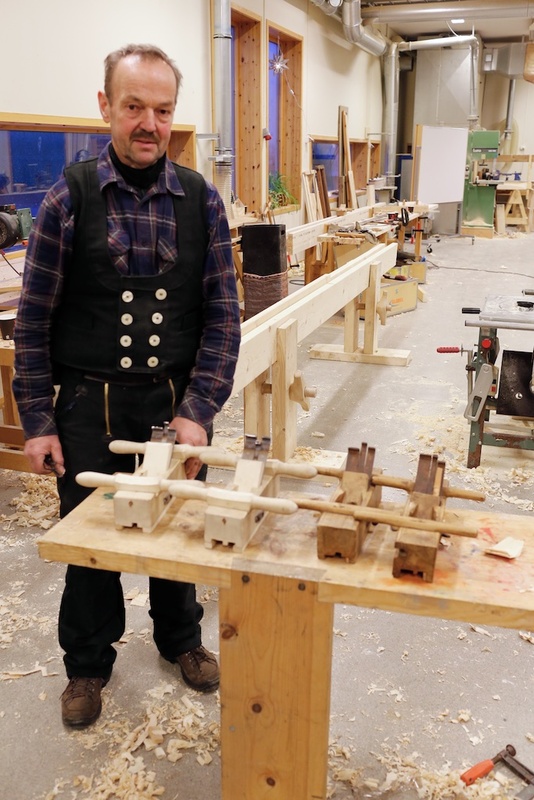 Master Carpenter with a special interest in traditional carpenters tools. He is studying at a bachelor programme in traditional building crafts at NTNU university in Trondheim. 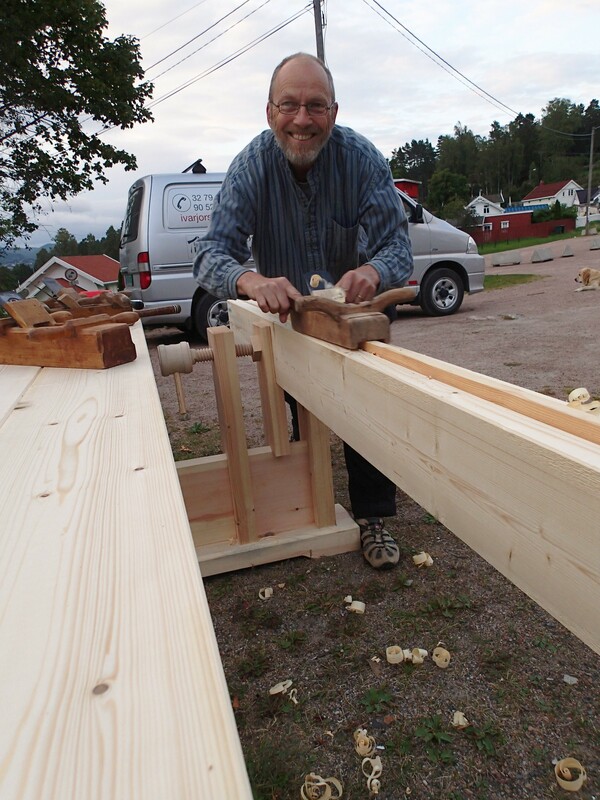 He work as a restoring carpenter at Buskerud bygningsvernsenter. Siv K. Holmin. Have been working as a restauration carpenter, restoring traditional buildings for about 20 years. Focused on traditional working methods with traditional handtools. Have also done some intervjus/foto/filming documentation of working methods with elder people to understand and learn the handcraft. Teach woodworking and restoring. Traditional logging, pitsawing, splitting wood and hewing materials, making floorboard and dealboard with handplane in «skottbenk» and thatching traditional grassroofs with birchbark. Welcome – You might want to come to Vesterheim – the Norwegian-American Museum in Decorah, Iowa. You will be so close. Contact Darlene Forsum-Martin there (address above). Also, are you guys familiar with Martin Donnelley’s tool auctions? Great tools there. Thank you for a very good tip. We did go to Vesterhem and got Darlene to show us their collection of tools and workbenches at the museum. It is a great collection. We did not go to Martin Donnelly`s tool auctions, but got to see a lot of great tools at Handworks as Patrick Leach and Fine Tool Journal where there with a lot of great tools to sell. En smuule ( kanskje to) misunnelig ,,men ønsker dere alle God tur og gleder meg til å høre/ lese om turen i senere blogger .